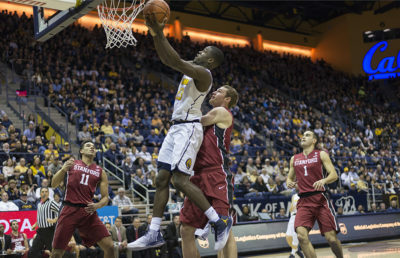 Cal men’s basketball alumnus and restricted free agent Jabari Bird has agreed to a multiyear deal that will keep him with the Boston Celtics. Bird, 24, had an excellent showing in the Summer League, posting 16.8 points, 6.0 rebounds and 3.0 assists per game in four games. The guard, taken with the No. 56 pick in the 2017 NBA draft, signed a two-way deal with the Celtics last summer and saw time with both Boston and the Maine Red Claws, its G League affiliate. Between the Celtics and Red Claws, Bird played in a combined 33 games last season, most of which came with the latter. Bird emerged as a star with the Red Claws, averaging 19.3 points, 5.7 rebounds and 2.7 assists in 20 contests. A back injury sidelined Bird for about two months and forced him to miss the tail end of the Red Claws’ season. Bird didn’t receive much playing time with the Celtics, but he had the opportunity to shine as the season came to its conclusion, playing at least 21 minutes in three of the final four games. 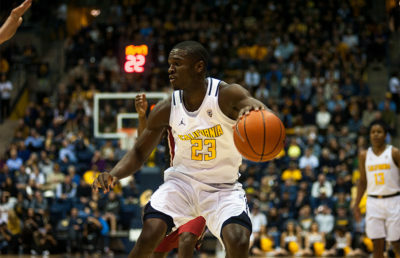 In those three games, Bird put up 10.3 points, 5.0 rebounds and 2.0 assists. With Kyrie Irving, Marcus Smart and Terry Rozier set to return, Bird likely won’t receive starter minutes, but he could potentially see substantial playing time off the bench.